Mystery Godoku. Puzzle and Clue for 04/20/2009. 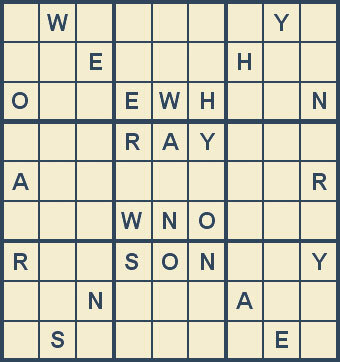 Welcome to Mystery Godoku for 04/20/2009. This Jack Dwyer story by Ed Gorman appeared in the anthology Criminal Elements (with "The", 9 letters).